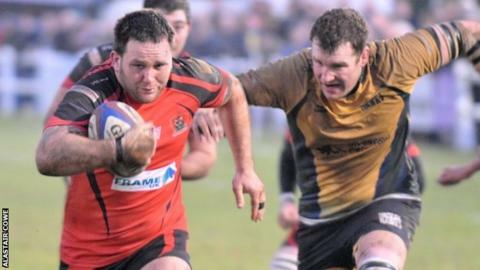 Redruth boss Adrian Edwards wants his side to focus on being more consistent away from home next season. The incoming Reds boss wants to turn around the club's poor away form, which saw them lose seven of their last eight games on the road last season. "Sometimes at home they were putting teams away by 30-odd points and then losing by the same distance away," Edwards told BBC Sport. "I'd like to think that can be addressed and that's what our aim is." He continued: "We want consistency in our performance home and away on a regular basis, they've proved that they can do it so there's no excuse when they go on the road I don't think." Redruth won only four of their 15 away games last season, but won 12 matches at the Rec, only going down to champions Old Albanians,runners-up Richmond, and Henley who beat the Reds with a late penalty. It was their first campaign in National Two South after relegation in 2011 from National One after six seasons in the third tier of English rugby. And Edwards believes his squad is strong enough to mount a title challenge if all goes to plan. "That team has got a lot of ex-National One players in it, they've played at that level for three, four or five seasons and they topped National One. "If we all perform, including the coaches, the backroom staff and all the players, to the best of our abilities, then we should be able to compete at the top end of the league without doubt."